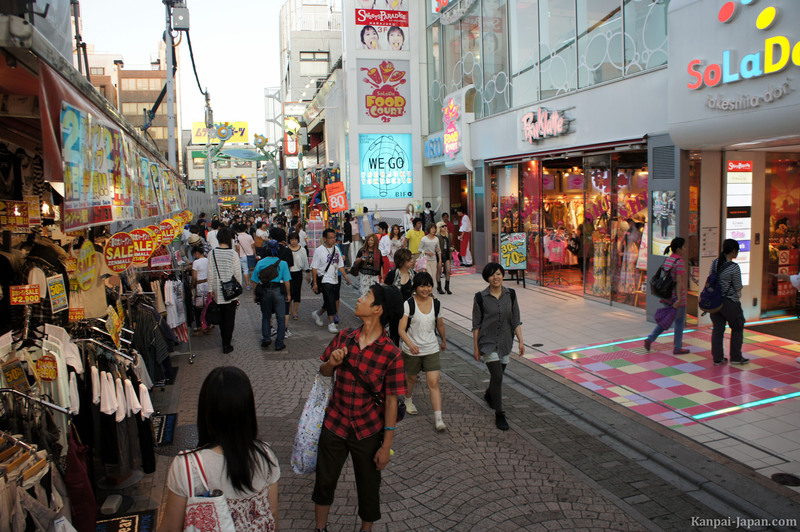 Takeshita dori is a 400 meters long pedestrian street, symbol of Harajuku, this eccentric neighborhood of Shibuya ward in Tokyo. 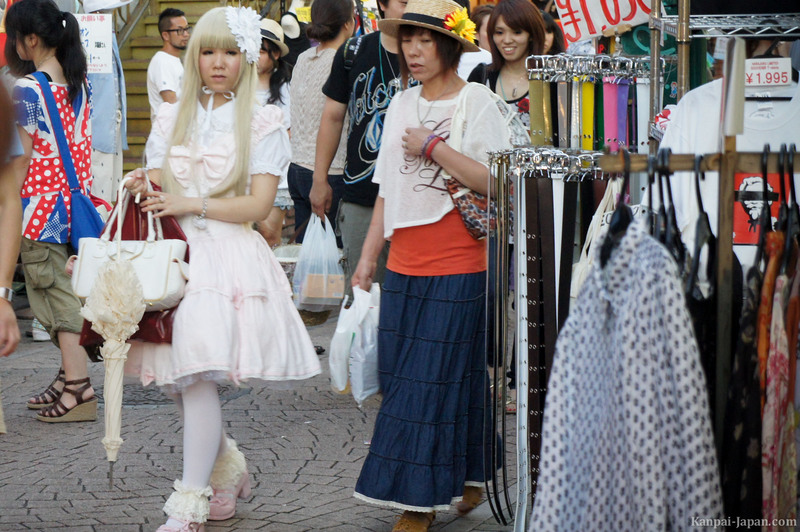 Fashion stores get along with tearooms and young Japanese people, with their cosplay clothing, quietly parade for the tourists' visual surprise. 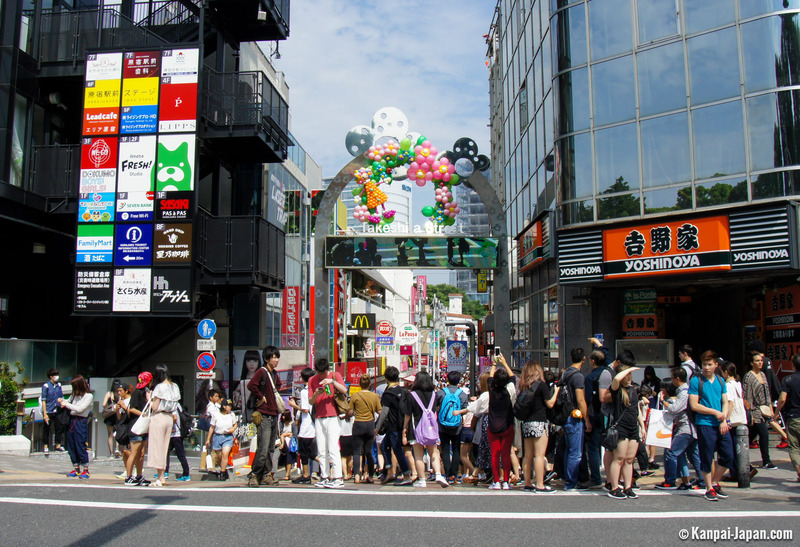 Between Shinjuku and Shibuya, the famous fashion district of Harajuku is sometimes summarized to Takeshita Dori (literally "the avenue under the bamboo trees"). 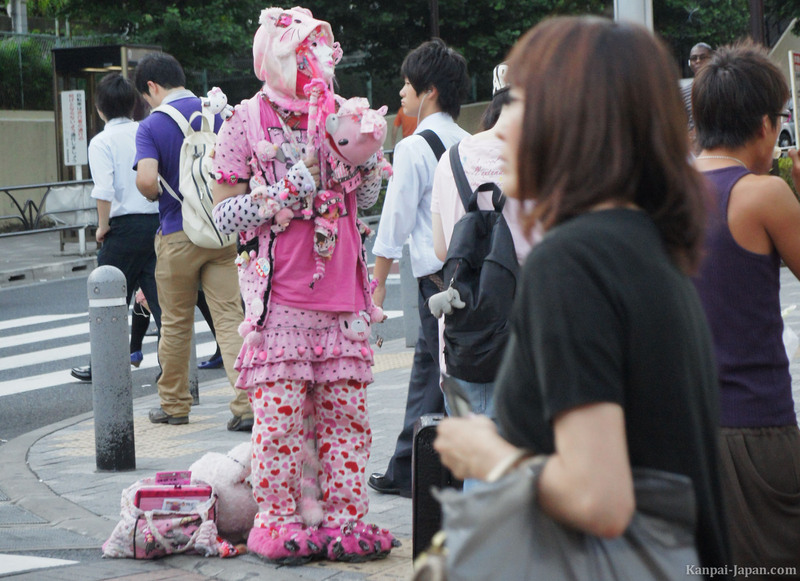 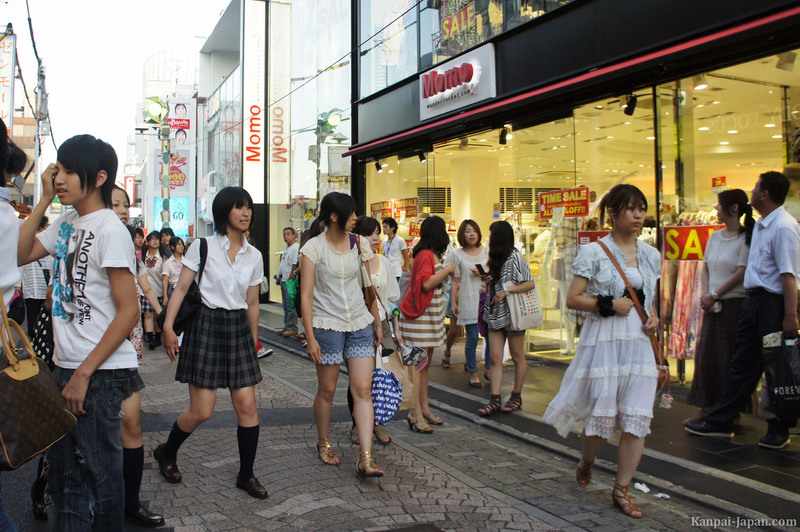 It reveals some of the most trendy stores for Japanese youngsters, and it is not rare to see there Japanese teenagers walking around in always more eccentric cosplay clothing. 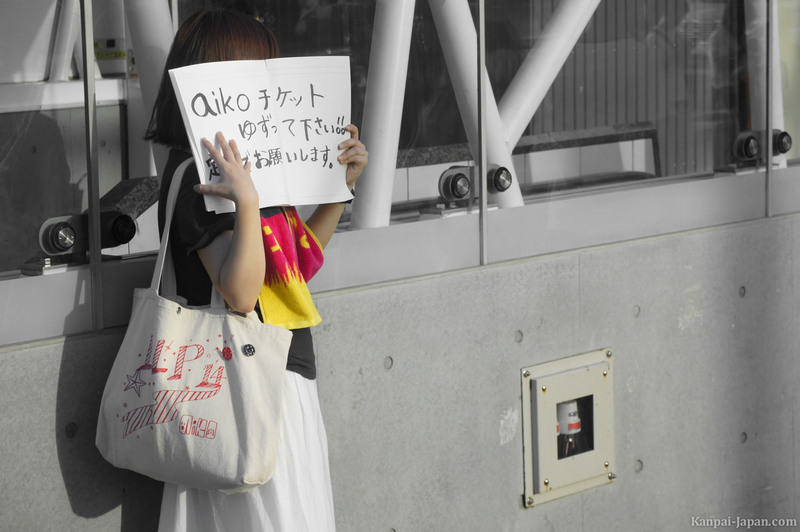 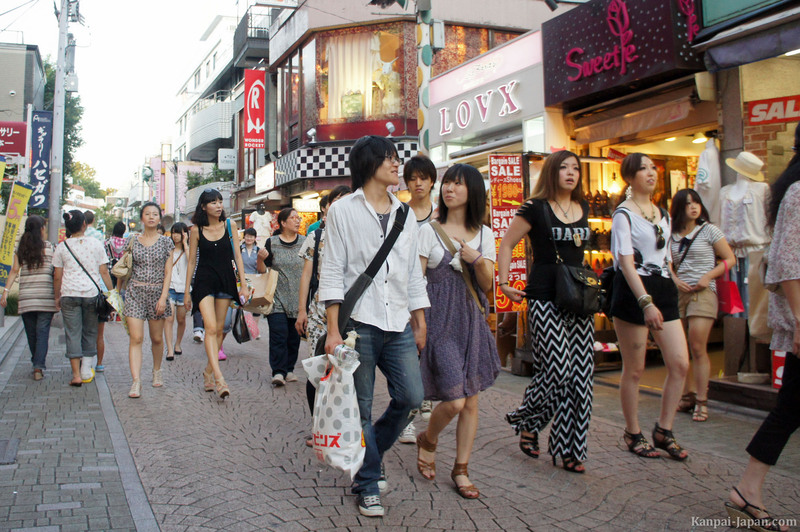 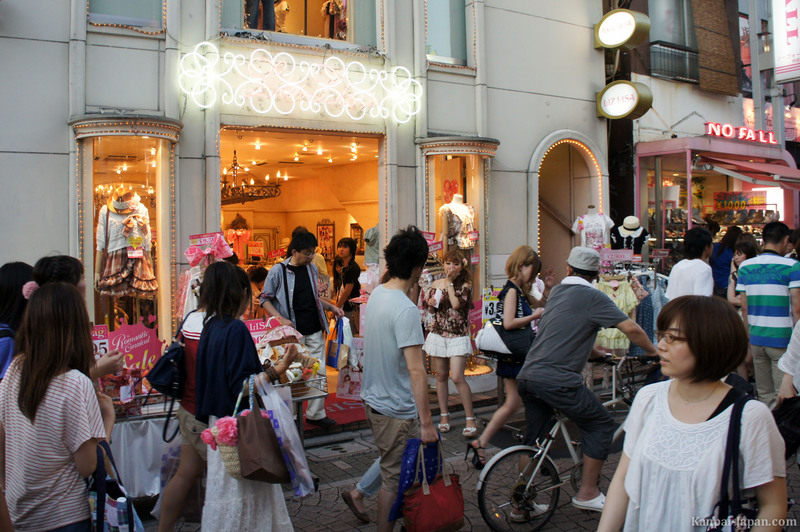 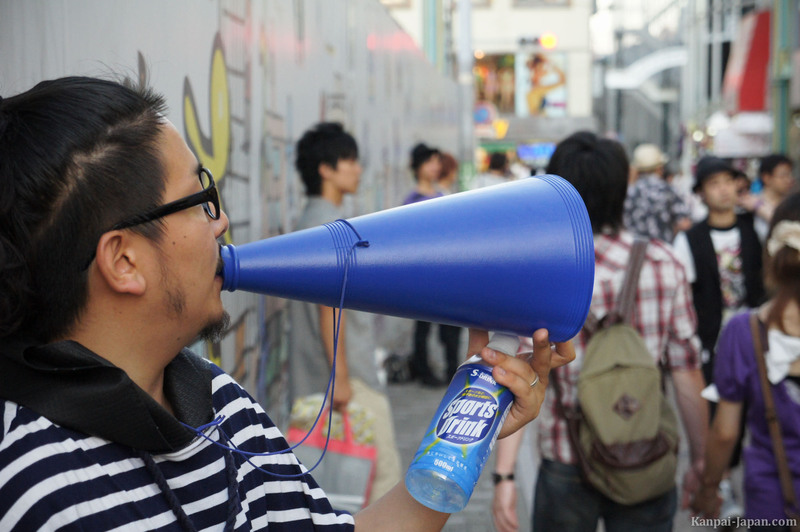 Surrounding small designer stores (for men and women), which often hire trouts, the big brands names, such as AKB48 or Evangelion, did not get fooled about the street and now own some of the biggest spaces of the avenue. 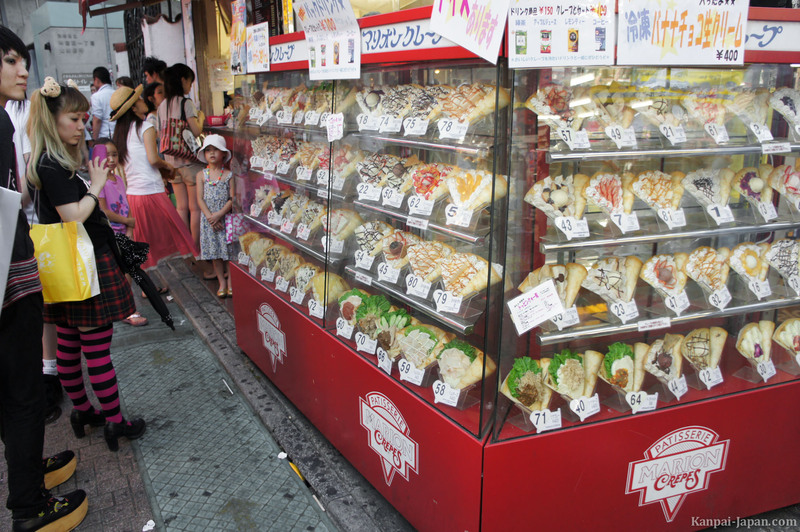 We can also find quite a number of cafes, fast food restaurants and other street food, such as the unmissable Marion Crêpes (pancakes) and its unavoidable waiting line. 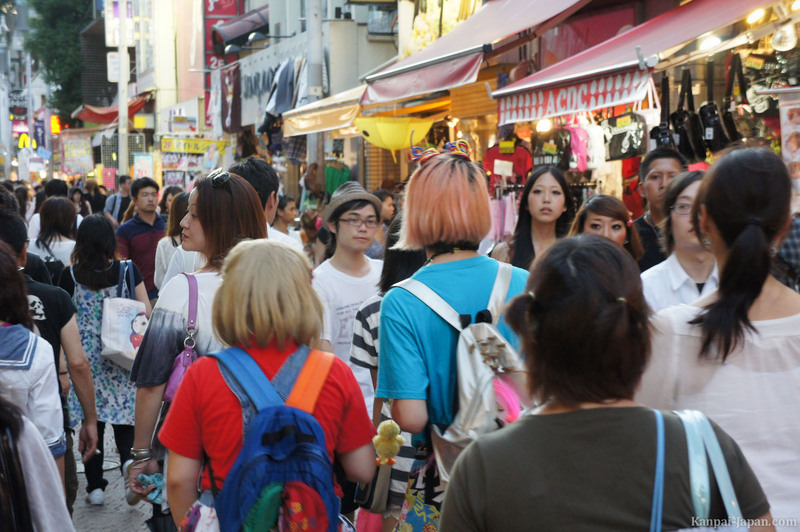 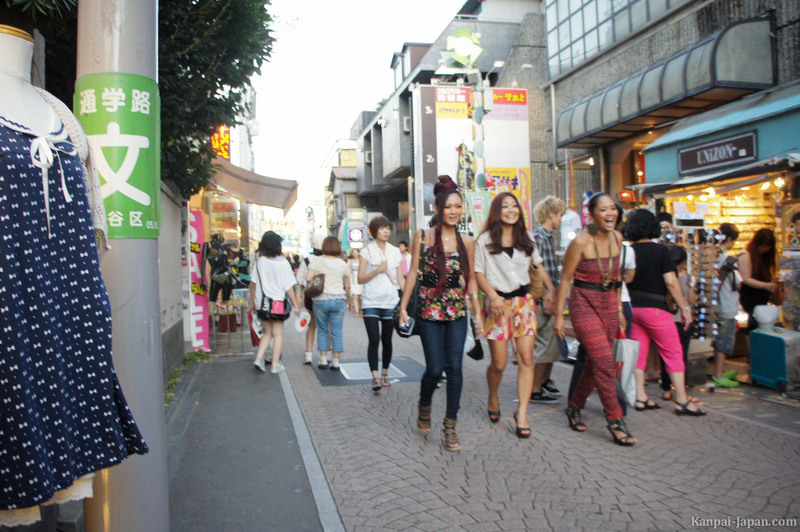 Takeshita Dori also happens to be an unusual and fun starting point to go discover other attractions of the surroundings of Harajuku. 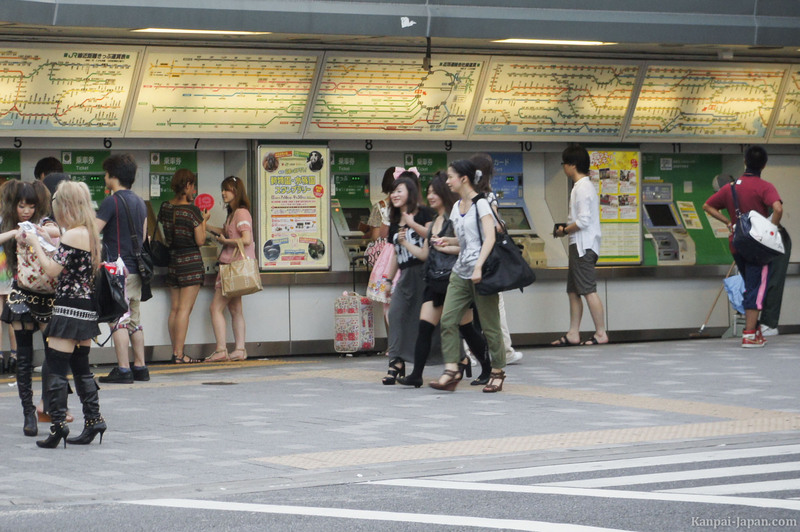 The crossing can last from a few minutes to half a day, depending on your chosen stops!